My mom has trained all of us siblings to love milk. As kids, we drank milk 3 times a day, together with our meals. Out of the three of us though, she was the most successful with me. I wasn’t a fan of fresh milk then so she gave me chocolate milk instead and boy, did I love it! I even drank chocolate milk in huge mugs intended for beer-not just 3 times a day, most of the time even more! Needless to say, I’m still a chocolate milk lover to this day. There’s no outgrowing it. This is why I can not have enough of the Danish chocolate milk drink, Cocio! It has finally arrived in Southeast Asia, specifically, the Philippines! Hooray, they heard my call! LOL. You see, I’ve been searching for a more wholesome, natural and pure type of chocolate drink now that I’m more conscious about my diet. Cocio is the only chocolate milk that has no stabilizers, preservatives and additives, making use of only 3 natural ingredients (all of which are ethically-sourced), namely: pure fresh milk collected from Arla Foods, the world’s largest multi-national dairy cooperative owned by over 13,500 farmers that started in 1882; plain sugar sourced from established sugar suppliers; and, cocoa that is UTZ-certified (meaning it supports sustainable farming and better opportunities for farmers, their families and our planet) from West Africa. These ingredients are then baked inside the bottle, giving it a unique, caramel-like taste. Clearly, you don’t need a lot as long as you’ve got quality ingredients and a process perfected for years. They’re actually the same recipe and production process that Cocio founder Anker Pallesen took 2-3 years to fine tune back in Jutlandian city of Esbjerg. Up to this day, nothing has changed. Well, you know what they say, why fix something that isn’t broken? Cocio has two variants, Cocio Classic in yellow and Cocio Dark in red. 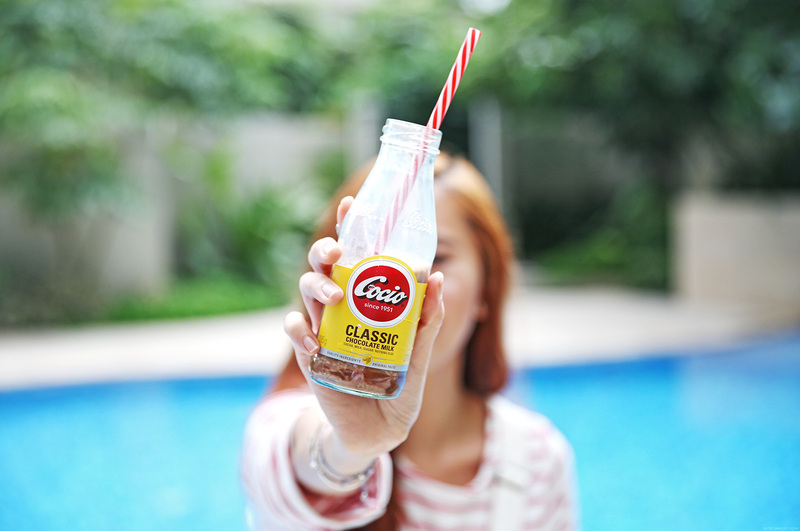 I’m more of a Cocio Classic kind of girl because I like my milk sweet. I was actually kind of surprised it satisfies my sweet tooth, considering Cocio has the least sugar content compared to other beverages of its kind out in the market. Cocio Dark, on the other hand, is my bestie’s favorite. It has 67% cocoa so being the die-hard dark chocolate fan that she is, she went gaga over them! 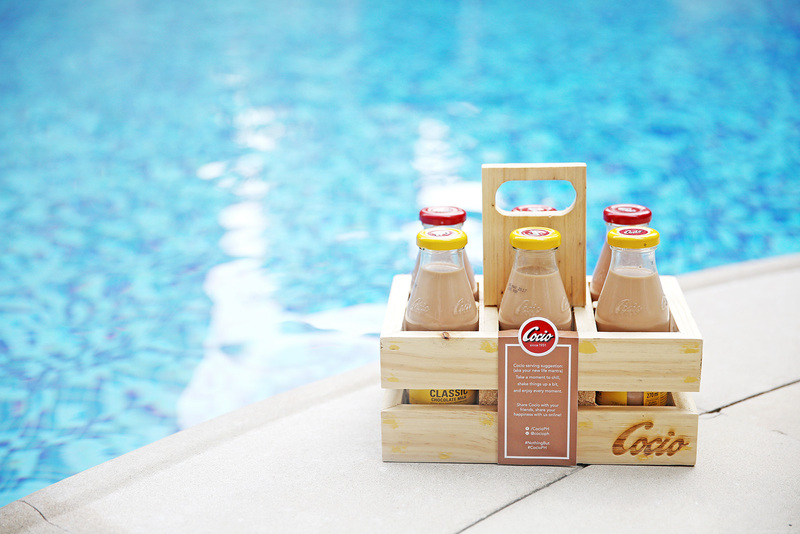 Whether you like your chocolate milk classic or dark, I’m sure you’ll love Cocio. I know I may sound like I’m exaggerating but it’s the richest and smoothest ready-made chocolate milk I’ve ever tasted. It’s a straightforward cocoa drink that doesn’t skimp on quality and taste. I recommend chilling it in your fridge first and then shaking the bottle before drinking it. I assure you, nothing but great taste awaits! Cocio is now available in all major convenience stores and supermarkets nationwide. For more information about Cocio, visit www.cocio.ph. Follow CocioPH on Facebook and Instagram as well. Hi Ate Camz! 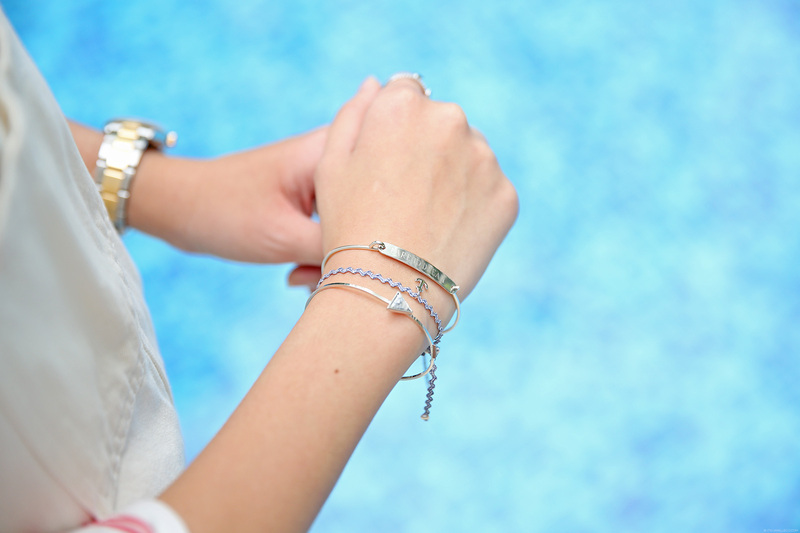 Did you purchase your MEW bracelet online? Is the purchase available in the Philippines? Hi Ate Camz! Did you purchase your MEW bracelet online? Sounds delicious! I’m definitely trying this out. :) And since it’s Camille Co who recommended it, I’ll tell my friends, too, about it. How much is this Ate Cams? I also love milk ate. heheheh.